DTRAX Spinal System is a set of single-use surgical instruments which aids in a minimally-invasive approach to cervical spinal decompression and stabilization. 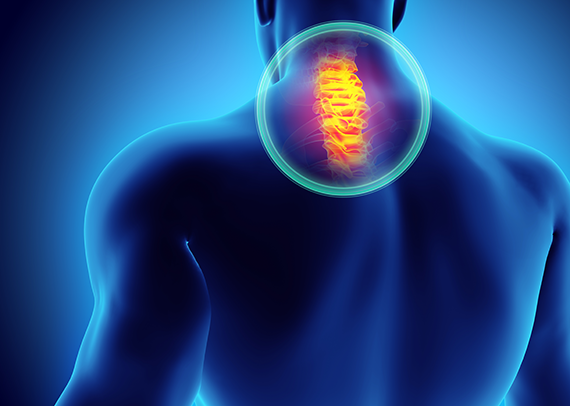 At The Spine Center, Doctor Saqib Siddiqui works on perfecting minimally invasive methods like the DTRAX® percutaneous posterior cervical facet fusion to deliver fast pain relief and recovery for patients who need spinal surgery. Have received at least six weeks of non-operative conservative care. Suffer from pain, numbness or burning sensations in your neck, shoulders and/or arms. Are a skeletally mature adult with degenerative disc disease of the neck (cervical spine levels C3-C7). A set of surgical instruments all smaller than one centimeter in diameter is used to prepare the bony surfaces of the cervical spine for fusion and allows intervertebral cages to be implanted. The implants separate the superior and inferior facet apart to create more space for a pinched or irritated nerve root. The implants also stabilize the spine which can help patients heal properly. Why is a tissue-sparing approach so important with this procedure? A tissue-sparing posterior cervical fusion can greatly reduce muscle and soft tissue trauma, scarring and patient recovery time. It can reduce time in surgery, blood loss and hospital stay. We are proud to offer the latest in advanced treatments from Providence Medical Technology. Experience sustained pain relief, call (954) 916-7062 or contact us online to set up your appointment.